Morro Bay ratepayers submitted about 2,150 of the approximately 2,800 protest votes needed to stop a controversial water and sewer rate hike that will go toward funding the city’s planned sewage treatment plant project. Still, the Morro Bay City Council voted unanimously Tuesday to approve the rate hike. 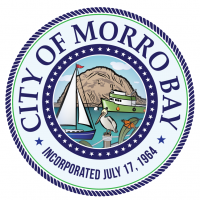 Starting in July 2019, residential customers in Morro Bay will pay a combined $41 more for their monthly water and sewer bills. The rate hike levies $25 and $16 surcharges respectively on single-family homes’ sewer and water bills. Ratepayers who live in apartment and condominium units will receive sewer surcharges of $20 and water surcharges of $12.80, hiking their monthly bills by a total of $32.80. Commercial customers will likewise get hit with rate increases. Following the rate hike, a single-family home with average water usage will pay a combined utility bill of $191 a month. The utility bills for single-family homes with low and high water usage will be $168 and $233.50 respectively. The city says it may be able to reduce the surcharges if it can lower project cots or obtain additional grants or low-interest financing. Morro Bay’s approximately $126 million sewage treatment plant project consists of building a water reclamation facility near the intersection of Highway 1 and South Bay Boulevard. City residents and officials have clashed for years over both the location and cost of the project. Previously, the California Coastal Commission ordered Morro Bay to move its now 65-year-old wastewater treatment plant away from the coast. Recently, the Regional Water Quality Control Board ordered the city to build a new facility within five years. On Tuesday, Morro Bay held a Proposition 218 hearing, in line with state law, giving ratepayers the opportunity to upend the rate hike if a majority of them would submit protest votes against the pending water and sewer rate increases. After the protest vote failed, the Morro Bay City Council formally approved the rate hike.